Let’s make sure we bring the Waddell Classic AWT event to Santa Cruz this year! Firstly, the American Windsurfing Tour is NOT in trouble. Sam Bitner and her team have always done a great job balancing the check-books and making the events work, even without anyone getting paid. The entire staff donates their time, and loses money going to the events. They’re more than happy (although sometimes tired and grumpy) to do this because they believe the events truly promote our sport and raise the level of windsurfing. It’s also fun to hang out with our friends and watch the best windsurfers in the world compete at our home break. With this unexpected permit cost, Sam and her team haven’t raised enough money to cover the Santa Cruz Windsurfing Festival. However, I think we can still pull this off. Bay Area windsurfers know how good the conditions here can be, and that we’re a windsurfing epicenter. Furthermore, Silicon Valley is one of the wealthiest areas in the world. Surely we should be able to raise enough capital to make this always fun event possible again. That being said, many different companies and people in the windsurfing industry have stepped up to help cover event costs. This year Santa Cruz County has raised the price of the event permit to over $8000 which could be hard to cover. I’ve talked to a couple of biggest names on tour and we’ve come up with some unique experiences for you to enjoy. There are private lessons from pro’s, 20% off and expedited construction of your own Quatro custom, a strategy course from Head Judge Chris Freeman, Morgan Noireaux signed Black Project Fins, gear rental at Boujmaa’s windsurf center, signed AWT merchandise, a practice contest and a whole lot more. The price difference between the riders is only there because gofundme only allows one reward per price. How fun would it be to get a private lesson from multiple world champion Kevin Pritchard? How much could you learn from the next generation of windsurfing; Morgan, Camille and Boujma? These guys are as friendly as they are talented, so I’m sure you’ll learn a lot. Thanks for all your help. Clearly, since the pros are donating, they want to make this event happen. So take a look at all the unforgettable experiences (when else could you get Boujmaa to teach you to loop or Kevin to teach you some slalom or wavesailing skills?). Let’s welcome the best in the world to our back yard! Just to be very clear, all the other events are 100% confirmed. Thanks so much for your help. If you can’t donate, but still believe in our cause please share this link on Facebook, Twitter or other social media. Also, paying your entry fees go a long way in making the events happen, so make sure you go to American Windsurfing Tour Registration Page and sign up if you haven’t yet. Any extra money we raise goes right back into the tour. It’d be easiest to pick up the prizes at the event, but we’ll ship to the U.S. and Canada. 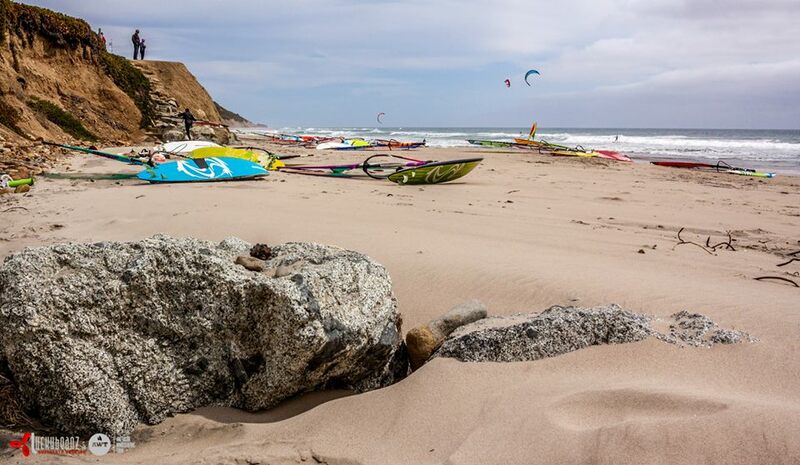 Lessons will be given close to the contest date or during the event near Santa Cruz. See you on the water!